In this exhibition, which consists of tableaus with manikins dressed in period clothing, you can glimpse everyday life, crafts, family life and schooling from the period after the Reformation up to the time when the author Alexander Kielland lived in Stavanger in the late 1800s. 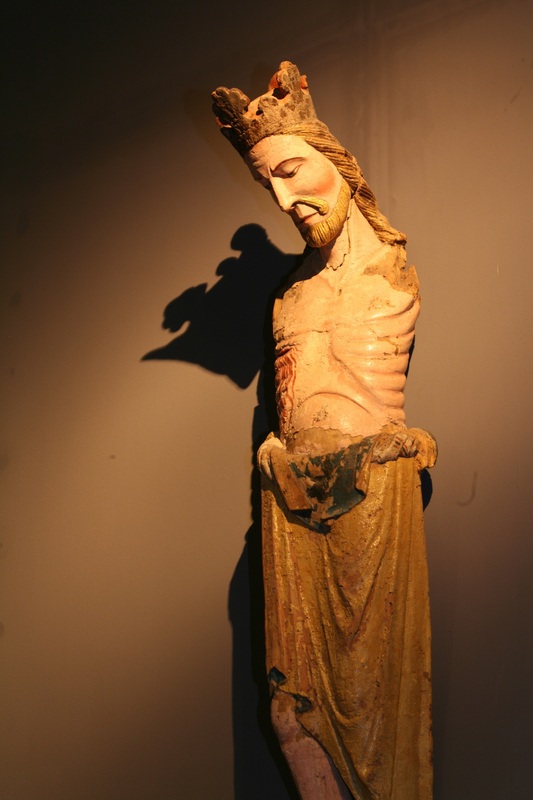 The exhibition presents works of art from churches in Stavanger and Rogaland. These were made during the Middle Ages, the Renaissance and Baroque period by, among others, Anders L. Smith and Gottfried Hendtzschel. Renaissance and Baroque objects from Stavanger Cathedral are also on show. Room interiors with objects from Rogaland’s villages and from homes in Stavanger show crafts that were practiced in urban and rural areas in the 1700s and 1800s. Maritime industries and missionary activity resulted in a situation where Stavanger, in the 1800s, became an international city with a global network. Stavanger Museum was established in 1877, and with gifts from seamen and missionaries, it built an ethnographic collection geared towards enlightening the public about religions and ways of life elsewhere in the world. Parts of this collection are displayed in A Town History ‘Theatre’. In The Kielland Room, the author Alexander Kielland sits and writes at a desk in his home next to the lake Breiavatnet. Kielland was Stavanger’s great poet during the latter half of the 1800s, and he often used his hometown as a model and inspiration for his writings. All tableaux in this part of the exhibition depict scenes from the 1880s, and several include figures described in Kielland’s writings plus glimpses of Stavanger during his lifetime. Here one finds, for instance, a cooperage (barrel-making workshop), a saddler at work, a housemaid’s small attic bedroom, and children’s games played in Stavanger’s streets. The exhibition also shows many objects from the period: toys, tools, furniture and other household items. Along with the visual elements in the exhibition, you can experience an audio-play about the author and the time in which he lived.